The #1 Margarita in Town! La Hacienda and Suaza Silver have teamed up to provide the best house margarita’s in town…! Featuring Suaza Silver© for our Original House Margaritas. A refreshing silver tequila, triple sec, lime juice and sweet & sour. Strike Gold… Made with robust Suaza Gold© tequila, triple sec, lime juice and sweet & sour. The best margarita this side of the border! Made with smooth tasting Sauza Hornitos© 100% agave tequila, Cointreau©, lime juice and sweet & sour. Taste the difference with our distinctive hand poured margaritas. Select one of our top shelf 100% blue agave tequilas in Silver, Reposado or Anejo and our bartender will mix it up with Cointreau©, lime juice and sweet & sour. 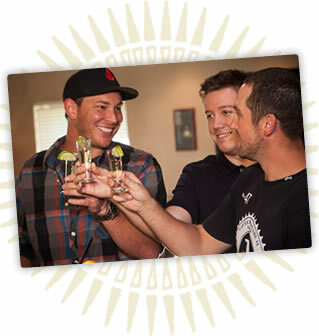 *Have you joined our Top Shelf 12 Tequila Club yet...? It’s a fun, FREE way to earn free giveaways for trying top shelf margaritas! Chill with our delicious Suaza Silver© Margarita, served with a float of Grand Marnier© on the rocks. Dust off your boots and enjoy this authentic margarita combining Jose Cuervo Tradicional Reposado© and Patron Cintronge©. We’ve tossed the sweet n sour out the door to create this low-cal treat! Don Julio Blanco, triple sec and fresh squeezed lime juice shaken and served up. Delight in the flavor and texture of mango puree mixed with our Premium Margarita. Stimulate your taste buds with the velvety ripple of raspberries, strawberries and Disaronno Amaretto© in our famous Gold Margarita. Get your antioxidants while enjoying a tasty treat. We combine our Premium Margarita with the juices of a pomegranate.